The Michael W. Smith Project heavily drenched with keyboards and synthesizers, shows Michael as a virtual whiz on those instruments. Beginning with an instrumental reminiscent of Bach, Smiths Sonata in D Majorshows his classical training. But if the first song shows where his fingers have been, the next ones show where his heart is going: You Need a Saviour, uptempo and nearly new wave, Could He Be the Messiah and Be Strong and Courageous all cookers, and Amy Grant sings along on Friends. Project is a powerful debut album full of energy, excitement. Adapted from the review by Don Cusic 1983 CCM Communications, Inc. From CCM Magazine. 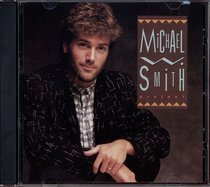 About "Michael W Smith Project"
:The Michael W. Smith Project heavily drenched with keyboards and synthesizers, shows Michael as a virtual whiz on those instruments.